Uberweiss is as easygoing as he is easy on the eye. He possesses the calm laidback disposition of his famous sire and the style and presence of his elegant dam. He has very nice bone and extreme suri fiber coverage and staple length – at only a year old we already had to trim his forelock so that he could see. 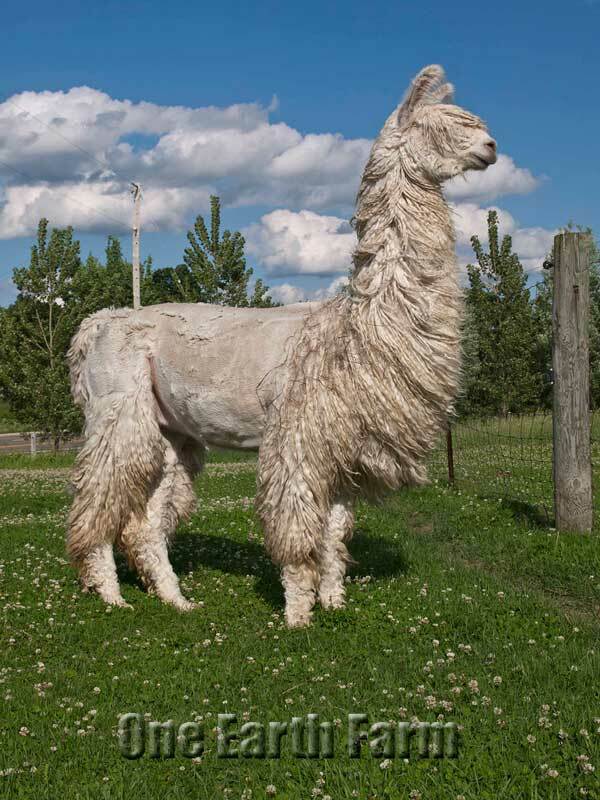 He is white with a pale silver topline and a few spots about his face and ears. 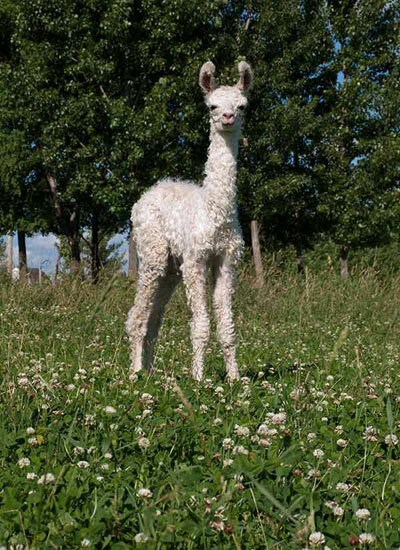 He settled his first female at 20 months of age, and his first cria, Pangloss, is an absolute show stopper. 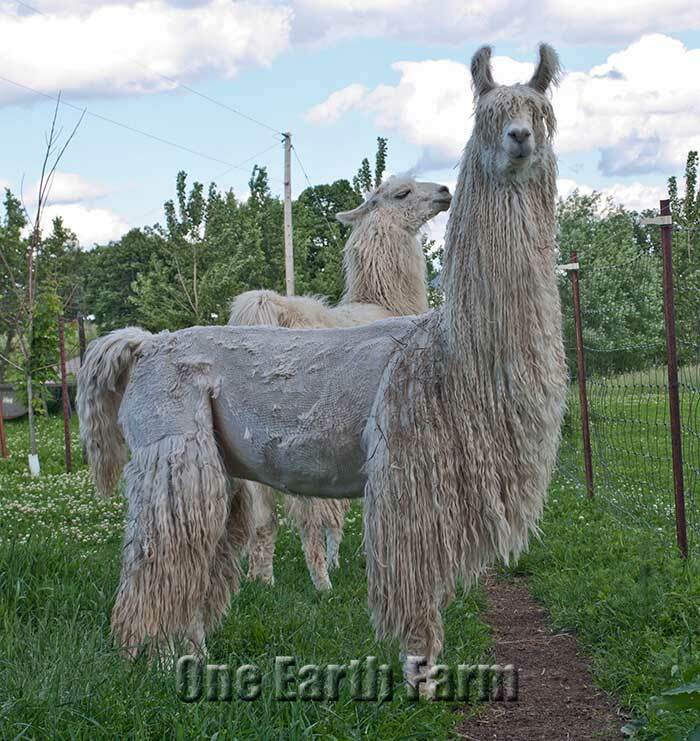 At less than a month old, Pangloss is a dream come true for us here at One Earth Farm. He is a pure white, incredibly lustrous suri with all the style and zip we look for in such a young guy. 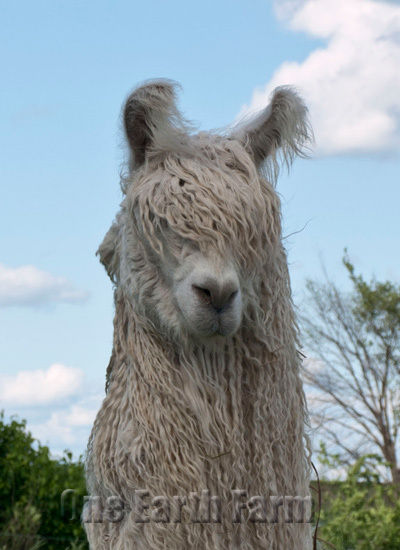 His parents are two of our favorites and are a perfectly matched pair of stylish white suri llamas. 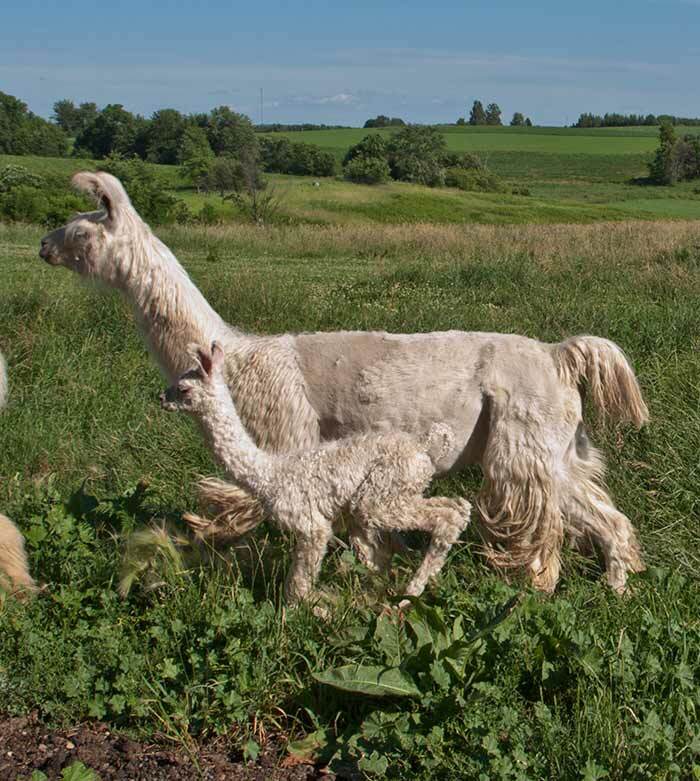 Pictured below are Pangloss, his sire, and him with his dam.